We are so excited to finally be moved into our new location at the Waterford Building near Copley Hospital. This new office suite will provide us with the space to grow, and more importantly, it will allow us to better accommodate our clients’ needs. In looking for office space the three things we were most concerned about were: 1) The comfort of our clients, 2) Enhancing the privacy and confidentiality of our sessions, 3) and the convenience for clients being able to access our services. 1. As far as comfort goes, the Waterford Building is a fairly new building that has a very warm, but professional feel to it. As you walk into the foyer of the building you will see that it is very clean, well lit and is afforded with the conveniences of nice restrooms, a water fountain, and a directory with tenants names and room numbers. As you walk into our office suite you will notice that the waiting area is spacious and very comfortable. All of our therapist offices are furnished with brand new furniture that we know you will appreciate. 2. Regarding privacy and confidentiality, the office suite was designed to maintain the privacy of our clients by creating a space that is as sound proof as possible. We take our clients confidentiality very seriously, and want you to feel like this is a very safe place for you to discuss your most private concerns. 3. When considering convenience, this issue was probably most challenging, especially when trying to pick a location. We realize that our clients come from all over the Fox Valley area and that there really is no one ideal place that would be “just around the corner” for all of our clients. So we tried to pick a location that was somewhat centrally located and would be fairly easy to access. My wife and I have often teased about the perception that as you travel through the Chicago suburbs it seems as though “all roads lead to Ogden”. It seems almost impossible to travel anywhere in the suburbs, without having to drive on, or cross over, Ogden Ave at least once. So it only made sense to us that we would try to find office space as close to Ogden as possible. 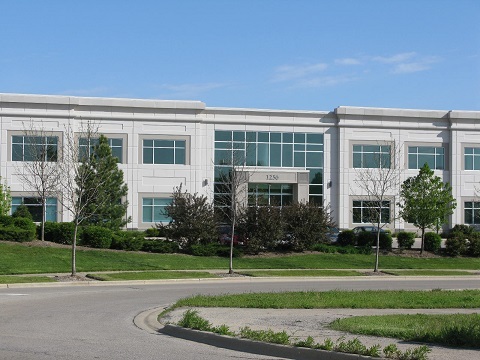 To that end our new office is located at 1256 Waterford Drive, which is just a couple of blocks right off of Ogden Avenue near Copley Hospital. We are excited about our new office “digs” and look forward to sharing all of the benefits of this Office change with all of you.